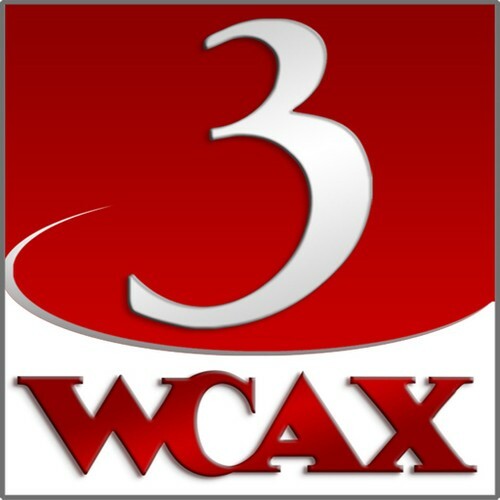 Media Note: Did WCAX Spike a Climate Change Interview for Lack of "Opposing Views?" Two weeks ago, WCAX-TV producer Alexei Rubenstein invited Vermont climatologist Alan Betts to appear on the station's daily interview program, "The :30." In an email, Rubenstein asked the National Science Foundation-funded researcher "to talk about [his] climate change work and Vermont and New England implications." But on Wednesday, just hours before Betts was slated to appear, Rubenstein canceled. In an email, the producer explained that station "higher ups" had spiked the interview due to a lack of "opposing views." In a separate phone call, Betts says, Rubenstein "said it's because management is afraid of the hostile reactions they get." We have to cancel today. I’ve been informed by higher ups that we need to have “opposing views” as part of the segment. I do not agree with this, but that’s the way it is. I apologize for all the trouble. If you are interested in appearing in the future with someone who has an “alternative viewpoint” maybe that would work. Please call me if you have any questions. Betts was shocked. For 30 years, the Pittsford scientist has studied climate trends in Vermont and throughout the world. He's delivered more than 100 talks around the state and penned commentaries for the Rutland Herald, Barre-Montpelier Times Argus and Vermont Public Radio. Never once, he says, has a news outlet demanded an "alternative viewpoint" to a phenomenon almost universally agreed upon by mainstream scientists. "The impression I get is that WCAX is afraid of [criticism] and, therefore, it's impacting the freedom of the press," Betts says. "And it's impacting the public's ability to understand and deal with the problem. If we can't discuss on the media what's happening in Vermont, that's a large segment of the public that isn't going to be informed." WCAX news director Anson Tebbetts sees it differently. He says the station simply found itself understaffed and unprepared to deliver a broader presentation on the subject of climate change. "We were overwhelmed with material yesterday and wanted to do something more thoughtful and have a bigger discussion with those involved," he says. "I guess [Betts] may have interpreted that we don't want to have him on — and that's not the case. We'd love to have him on if he'd still like to come on." Tebbetts says the station wasn't necessarily looking to match Betts with a climate change denier. Rather, he'd like his audience to hear from representatives of the sugar and ski industries, and others affected by climate change. "Part of our job is to educate," he says. "It's to be fair. And it's to have as many viewpoints as we possibly can. Whether it's always clean-cut, 50-50, this person gets two minutes, that person gets two minutes — that's just not possible. We can't do that." So WCAX wasn't simply trying to squelch a discussion about climate change? "Not at all," Tebbetts says. "The idea that we somehow want to squelch any of this is not accurate at all. We want to have more discussions on the topic. In the end, it came down to: We overextended what we thought we could do on that particular day. That's what happened. And we probably could have done a better job communicating with Mr. Betts." Disclosure: WCAX and Seven Days are media partners. Paul Heintz and other Seven Days reporters regularly appear on "The :30." And Heintz is an occasional, paid political analyst for WCAX.